The long wait for the coming of the Age of Chivalry is over after years of waiting. The great news is that it was every bit worth the wait. The mod focuses more on gameplay changes, though Graphical changes have not been forgotten and are numerous. But it is the more historic feel of gameplay that is this mods strong point. Quality: The quality of the graphical work is flawless. The buildings with few exceptions are excellent, and the units added are superb. One great downside to a lot of mods is that the graphics just aren't up to AoK standards; this mod has a distinct AoK feel to its graphical changes while still being very unique and different looking at the same time. The dat editing is quite advanced, with new technologies, policy decisions, and unique unit attributes all being present. The language files have been edited, so many unit descriptions and technology information has been given a distinctly more historic feel. The gameplay changes are quite enormous. New buildings and technologies require the player to change his old strategies. And the fighting begins almost immediately, with archers available in the first century, and aging up cost are more prohibitive. Usefulness: This mod has been designed to satisfy everyone's tastes. Its strong point is multiplayer, but scenario design is not forgotten, and there is a campaign for single player lovers. those who play a lot of random maps will especially enjoy this, as it is a great change of pace for standard AoK. Novelty/Uniqueness: There is no other complete total conversion of all 18 civs in AoK. This is the most complete game modification ever. I feared that the fact it was started so long ago it might become outdated by the time of its release, but it certainly is just the opposite. It is the single best modification in AoK. Closing Comments: this is a must download. Even if you don't keep it installed for more that 20 minutes, at least check it out and see what great modding has been done for this project. Age of Chivalry Hegemony is a very good modpack, which will take you to the truly medieval tribes. It also includes some historical Campaigns, and these are amazing! Someone said here that these people are extually game designers themself... I say : The truth isn't far from it! This took about 2-3 year to make it, it's worth to be downloaded, I say, it's a MUST download! The graphics are amazing, the campaigns are amazing! You made new units, new buildings... Truly amazing. The special units, especially the ecuyer, aren't good for giant fights. So, this modpack isn't really made for giant wars or something, every time I tried, the units went very slow, they kept regrouping all the time, even when I ordered them to do nothing. And this already happens when I have 25 selected! I placed about 3 next to eachother, and the shadow of the lowest house just covered the house up to it... I checked it, and it happens with all the houses... Maybe you can fix it? The Age of Chivalry - Hegemony is a wonderful total modification to the original Age of Conquerors. The only things that could have points taken off are the AI (it doesn't advance past 12th century), and some minor balance issues. Neither of these issues (in my opinion) are enough to detract from the score enough to drop it to a 4.5. Everything functions as intended, and everything that can be done in the original AoC can be done in Hegemony. There are some extra units in the editor that do not appear in game, and will be certain to enhance any scenarios/campaigns you decide to design using Hegemony. The possibilities for campaigns and scenarios are endless. Everything looks wonderful. Nearly all of the graphics have been changed, adding a fresh feel to the game. + Most graphics are changed, giving the game a new (and very realisitc) feel. + All new civs, ranging from Austria to Savoy to Wales. + Hegemony does not require ModPack Studio, so anyone can download and play. + An extensive history section. + A campaign comes pre-packaged with the mod, allowing the player to experience it without trying to set up a game online. + Create heroes at your castle, and lead your armies to victory! - The standard AI that ships with the game won't advance past 12th Century; this is because it requires florins to advance to 13th, and the standard AI would not normally mine florins until it is in the 13th century. To fix this, set the starting resources to highest, and raise the difficulty. Kor and Andrew Dunn have made it very clear that they are not AI scripters, so I see no reason to fault them for this. - Minor balance issues in multiplayer games. It can't really be expected to have perfect game balance on the first attempt, so there is no reason to deduct from the rating here. - The in-game tech tree does not show all the changes. This is because the tech tree (from what I've heard) is hard-coded into the game. For full details, refer to the Civilization Guide files that were installed with the mod. Kor & Andrew Dunn: A masterpiece, and certainly worth the many hours of effort put into making it. A job well done! Everyone else: What are you waiting for? Download it, if you haven't already! The best thing that ever happened to AoK. Turning the game into a historically accurate depiction of Europe and boosting the gameplay with policy decisions and different building configurations were 2 great ideas. The graphical uniqueness of each nation makes it even better. At first, I though I would actually lose diversity by knifing the non-european civs, but this add-on actually ADDS diversity to the game. This is a true masterpiece, bravo to the authors. - Not any additional technologies, but more policy decisions, and more radical ones. - Wall junction improvement for the level 1 walls. - New tower designs for the orange brick towers: anything without orange bricks. - Even bigger buildings: the bigger the better I say! 'Age of Chivalry: Hegemony' is the second instalment to its precursor release in 2004, ‘The Age of Chivalry’, spanning the 12th, 13th, 14th and 15th Centuries A.D in Medieval Europe, and with its strengths lying primarily in multiplayer gaming and the map editor. The title is a mod pack and converts ‘Age of Kings: The Conquerors’ to include an array of new buildings, units, and a vast list of European civilisations, new resources and ages. In addition, the pack includes several playable historical scenarios demonstrating the use and power of the modification. Well, I must say, I have never been quite so surprised by a mod's usefulness in any such case before. 'Age of Chivalry: Hegemony' has so much to offer: new buildings, units, civilisations—even new resources and whole ages. While the ‘Age of Chivalry’ possessed very few new additions, ‘Hegemony’ now contains so many that in fact it’s like witnessing a whole new expansion for ‘Age of Kings’. Scrolling down the list of units and buildings in the map editor, the changes are apparent. There are unique and special units alike for all 18 civilisations, and then different wonders concerning each culture. Gameplay is focused more around realism too, with military strategy placed around strong cavalry charges or powerful pike formations, rather than the traditional sword-wielding units dominating the battlefields in the unmodded version of the game. Mercenary systems make a difference for some civilisations when hiring Genoese Crossbowmen or Swiss Pikemen, and policy decisions allow the player a choice between the preferred strategy in warfare, with combat ability placed either on militia-based units or cavalry. Too, war can be conducted at the very beginning of gameplay with the ability to go straight into the fight with the archery range available in the first age, and the castle and siege workshop available in the second. The mod pack is certainly one of a kind; the whole of ‘Age of Kings’ is converted into a whole new dimension of gameplay and historical realism; one can annotate more depth and believability in the dream historical scenario based around the ‘War of the Roses’, ‘One Hundred Years War’ or ‘Italian Wars’ simply by using this mod. In addition, the new technologies were well appreciated. Installation is achieved by the single click of a button, and the mod pack can be permanently installed simply by running it from a copy of the AoK folder, which however must be done manually by hand. This is not all that hard to do once you learn how. Nevertheless, the quality of the mod pack is very good, although more or less a few buildings and units don’t look the part when compared to traditional AoK units. This is not so bad though, and mostly all new units and convening additions are incredibly well done and add realism and atmosphere to gameplay. Again, the quality and extensiveness of the mod is almost mesmerising. The look and feel is in-sum wrapped up with a new main menu for the game and a whole history section dedicated to all new civilisations available. While a major problem concerning gameplay was probably inevitable in some field or another, the computer players’ performance in random maps is affected by changes in the mod, making for some slightly weak gaming experiences. 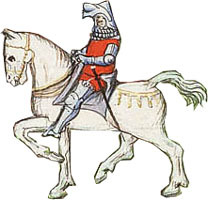 Computer players fail to advance beyond the first age, as it requires gold (computer players do not collect gold until the second age), and military units do not seek out at all to attack human players. Still, this is hardly a problem of the mod pack itself as the designers are not AI scripters. Either designing whole AIs solely for 'Age of Chivalry: Hegemony', or simpler still, playing random maps on higher difficulty levels will more or less fix this problem. ‘Age of Chivalry: Hegemony’ is perhaps the finest modification uploaded to the Blacksmith to this date. It would be a shame indeed if you were to pass over this one simply because you might be a little unfamiliar in this territory. Download now, you will not be disappointed. In a sentence – Three years hard work placed gloriously on my desktop. This trully is a brilliant mod, This mod is very easy to install and has a nice setup interface. Just some of the changes this mod made included Backrounds, Units, Icons, Graphics, and Names. It was very interesting having a completely diffrent age of kings layout with the new units. The civillisation descriptions were also quite interesting. I recommend this mod for downloading, It must have taken loads of work to produce and deserves a 5. Keep up the good work, hopefully be seeing more work from you in the future. This is breathtaking. This had so much effort and time put in to it that it could likely be considered one of the best(if not the best) things ever to be made for Age of Kings. The changes in this are astounding! There is so many new aspects in this game that make it an amazing Overhaul. Every civilization is changed to fit the time-period. New units, graphics and buildings galore. This game as countless changes. With an 8 scenario campaign and with more in the works this Mod will be popular for a very long time. This game is the biggest must-have in Age of Kings Heaven. 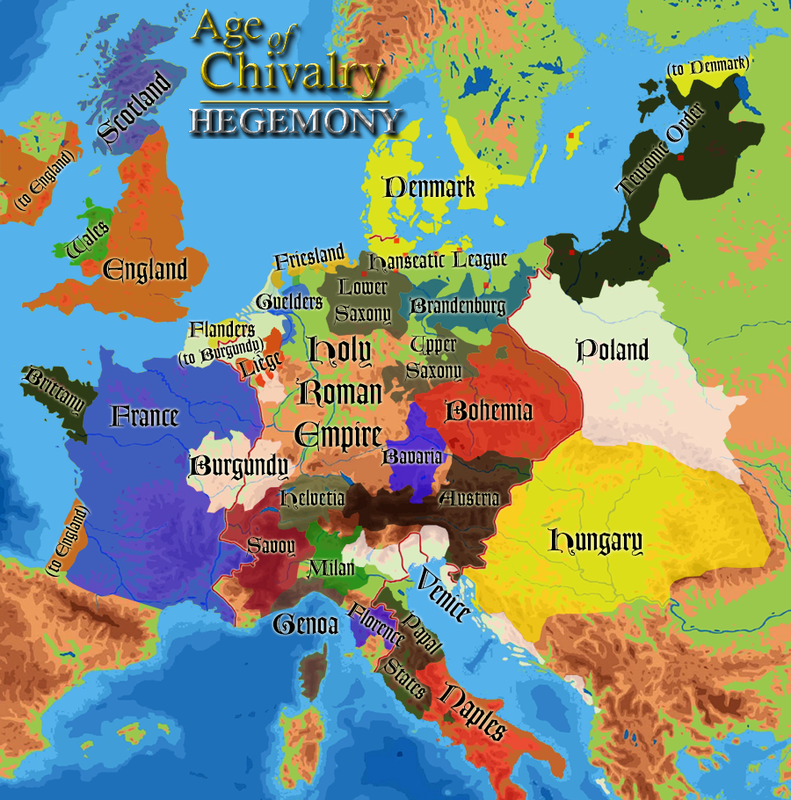 Age of Chivalry: Hegemony as described by the authors as "a total conversion modification pack for Age of Empires II: the Conquerors set in Western and Central Europe 1100-1500 AD.". This is the only total conversion mod I have seen for AOK:TC and it's an excellent mod indeed. The game has been massively overhauled and altered, with new units, techs, buildings, and civilizations. I found everything to be of high quality and I especially enjoyed the new civilizations. The sheer amount of new buildings and units was another great thing I love. The civilizations in the modpack, eighteen to be exact are unique and different from each other. With all of the new changes (don't forget Mercenaries and policy decisions) the game requires new strategies with every different civilization. The game includes a great eight scenario campaign and extensive history written for each civilization. The modpack also supports multiplayer, but I have not tried that out yet. Out of all the overwhelmingly great features of this modpack I'd have to say that the AI is not a strong point of this game. As I have noted, the AI does not play properly in some occasions. I have also seen that people have reported some bugs in the game but I have not seen anything significantly damaging to gameplay. Excellent! I'd recommend this to anyone playing AOK:TC since this modpacks breaths new life into the game. It would be great to see improved AI and it would also be great to see more campaigns/scenarios for this modpack! I agree that this modification pack is one of the best (if not the best) things that has happened to The Blacksmith. Finally, download this if you haven't. The file is worth it. The installer that comes with the download works excellently! Age of Chivalry is a very good modification for a great game like Age of Empires. It is technically the normal The Conquerors, but with buildings changed, units and buildings names changed, and new units. The rest is not very changed, except the start menu and other minor things. But what I liked too is the ability to uninstall the mod, so if you want AOC back, just uninstall it! I give 9.8/10! Perfect mod! This is definitely the best mod there is in the blacksmith, it's so awesome I don't know where to start! First I'll start with the first battle I did. I looked over the civilizations, they were so strange and unique I decided to just choose random. I ended up being the Danes. I chose the Archipelago map type, turbo-random map, and All-visible so I could see my friends & foes building. I loved the new town center and buildings, a lot better then the old ones. I also loved the look of my militia lancer, and rode it around a few times just to see all of its different sides. At first I thought 'Ha, my opponents are building so slow, must be AI problems.' Soon I learned that I was wrong. The action started quickly, thanks to the awesomeness of castles and medium troops in the second age. I decided to start building a navy since I had chosen Archipelago, but found to my disappointment that there wasn't really any way to expand the Dane's navy. I built a couple longboats and transports, killed a few fishers, then deposited my Norse Axemen on the shores of the enemy isle. They were slain quickly. I soon learned that although I had progressed through the ages quickly, the AI had built their economy up much stronger, and so came out more powerful in the end. Soon I was trying desperately to build more men, while my friends and foes were battling furiously. I built a monument and after a while a hero, but found to my disappointment that he just looked like a longswordsman with a new name and ultra-stats. I think you should've done a different unit, like a champion or 2handed swordsman, but then again that was only the Danish hero. After a while I won, the time on my monument going to zero. During the game I had discovered that my old way of playing didn't work with Age of Chivalry, and I needed to much more aggressive. I used that new strategy on my second try. Next time I was the Austrians. I built my economy quickly, buying sheep (an excellent addition!) and then later building farms. I upgraded my units and fought some minor skirmishes with the enemy, after a while building a castle and using it for a gathering point. I excitedly built some Hapsburg Knights, only to find that they had worse stats than what used to be the regular knight (I forget what they were called). My enemy sent archers after me, often one at a time, and they were quickly butchered by my skirmishers. I would've attacked the Town Center if it had been a regular game, but knew that my men would be turned to pincushions instantly by the many villagers running around. I researched something in my town center allowing me to build Cuman Auxiliary, but was disappointing to find that they had replaced my Hapsburg knights! Oh well, they weren't the best unit anyway =D about there I saved and shut off my game. The Age of Chivalry is definitely the best mod in the blacksmith, if you like mods then you can't miss this one! You can even uninstall it easily and hassle-free when you have decided you no longer want it!! This is an awesome mod and a must-download!